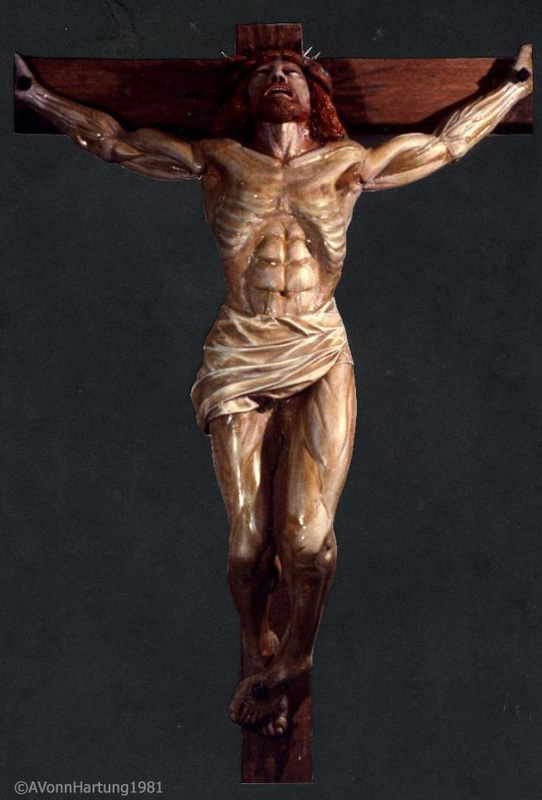 I carved this crucified Christ after an in-depth study of the book A Doctor at Calvary by Pierre Barbet M.D. The main results of the study show in the carving the effects of asphyxiation symptoms where all the muscles of the body cramp up due to lack of oxygen and cause massive cramps resulting in agonizing death. 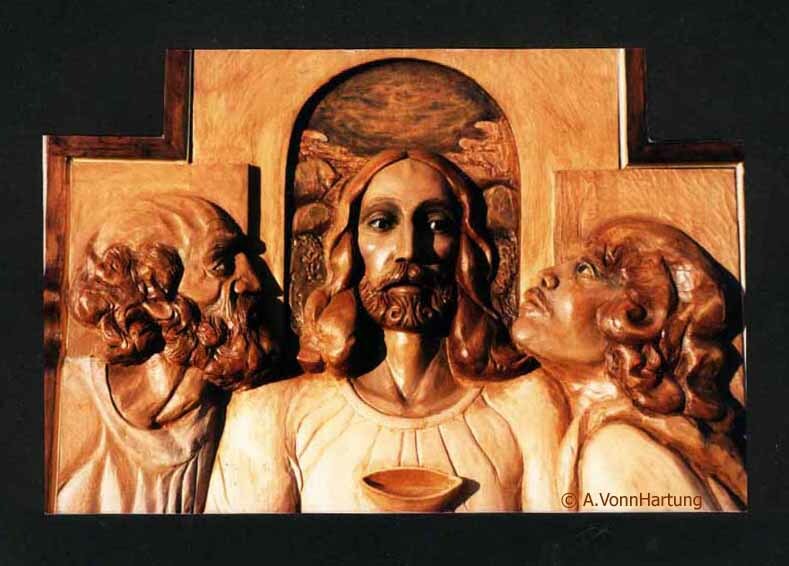 This wood sculpture is approximately life-size, carved in linden wood (circa 1981) for St. John’s Catholic Church in Montville, Connecticut. It was commissioned by Msgr. Bronislaw Gadarowski.